Santa Clara is a family oriented and business friendly city, led by a city government that has developed an award-winning ethics program and a commitment to fostering the public trust. Located in Santa Clara County at the southern tip of San Francisco Bay, about 45 miles south of San Francisco, Santa Clara is a strategic regional hub, convenient to freeways, airports, railroads, expressways, light rail and other public transportation. "The Mission City" was founded in 1852 and has grown into an internationally diverse community of about 118,830 residents with employment base of about 106,750. With 19.3 square miles of tree-lined neighborhoods, thriving commercial and industrial centers, and 300 days of sunshine each year, it is an ideal location for individuals, families, and businesses. All eyes will turn to Santa Clara, the official Super Community for Super Bowl 50, being hosted at the state of the art Levi's Stadium, home of the San Francisco 49ers. With so much to see and do, a virtual stop at the Santa Clara Chamber of Commerce and Convention-Visitors Bureau is a must! Voted one of ten All-America Cities in the New Millennium by the National Civic League, Santa Clara has a "High Tech, Human Touch, H2" approach to serving the community's needs. It offers the region's lowest combined utility costs in the nine Bay Area counties, with savings of 30 to 40% on electricity alone, and it is consistently rated one of the most affordable cities in the nation for business. At the core of the City's government is a dedication to ethics, transparency and service to the community. Santa Clara is a Charter City with a Council / Manager form of government. The City's financial stability ensures the highest levels of citizen and business service, low business taxes and solid real estate value, and it is also one of the safest U.S. cities with a population of 75,000+. 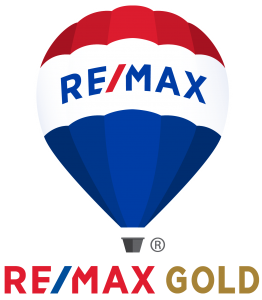 Serving Santa Clara, San Mateo, San Francisco Sacramento and El Dorado and Placer Counties with full service real estate.